The Terma Leo MOA electric towel rail provides independent bathroom heating that can be conveniently controlled from an Android or iOS device. Finished in chrome to complement a range of interior design styles, the 200w Terma Leo is the definitive bathroom must-have. The Terma Leo MOA Thermostatic Electric Towel Rail provides intuitive control over your bathroom heating with its integrated thermostat and Bluetooth functionality. Finished in attractive chrome, this versatile bathroom heating solution will complement a variety of interiors. 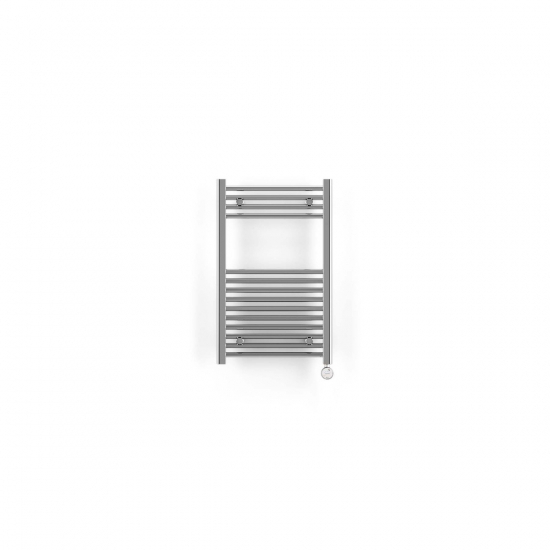 This 200w version is one of the smaller towel rails in the range and can heat bathrooms up to 2.5m².